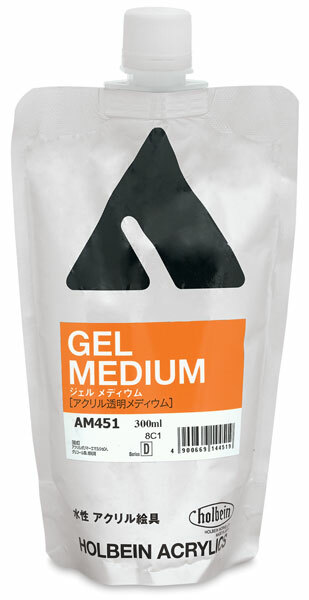 Holbein Acrylic Gel Mediums offer professional quality at an affordable price. When mixed with acrylic paints, they give you a myriad of different ways to alter texture, sheen, transparency, viscosity, and depth. This transparent, 100% acrylic gel is like acrylic paint without pigment and is used to extend acrylic colors. It dries to a durable, flexible, waterproof finish.